People living in apartments are much more likely to experience secondhand smoke wafting into their homes and across shared areas. It’s an issue that can divide neighbours and leave strata managers overwhelmed. Apartment residents need sensible smoking regulations that balance personal freedoms in the home and public health interests. Our newly published research paper, Sharing the Air, shows the law is letting them down. Residents are right to be concerned. For three decades we’ve known that secondhand smoke increases the risks of lung cancer and heart disease in adults; asthma and breathing problems in children; and SIDS in babies. In higher-density housing, tobacco smoke is notoriously difficult to contain – and there is no known safe level of exposure. Despite the harms of secondhand smoke, only New South Wales tackles the issue of smoking in its strata law. In all other Australian jurisdictions, residents and owners are left confused about their rights and responsibilities. In many cases, people in strata-titled properties who are affected by smoke have to prove it is a legal nuisance or hazard before any action can be taken. However, case law from courts and tribunals reveals an awkward tension between the legal concept of “nuisance” and the science on the harms of secondhand smoke. In one Queensland case, a man wanted to stop smoke infiltrating his bedroom from his neighbour’s balcony as this made him unwell. Although the tribunal accepted that smoke often entered his bedroom, he was found to have an “abnormal sensitivity”. Nuisance could only be established if the smoke was of such volume or frequency that it was an unreasonable interference. And this was to be determined objectively through the prism of an ordinary, healthy person. But what is a reasonable standard of exposure to secondhand smoke when no safe level has been established? These neighbour disputes are more easily resolved if the apartment complex has a smoking bylaw that can be enforced. Apartment residents share spaces and infrastructure, and so bylaws are used to balance the rights of all residents. Contentious issues such as pets, display of laundry, car parking, floor coverings and rubbish disposal are covered. Legal advice may be needed to draft a smoking bylaw that is valid and enforceable. Strata laws in all Australian jurisdictions empower owners’ corporations to make bylaws for the good management of the scheme, but these powers vary in scope. Working out whether the owners’ corporation has power to make a particular smoking bylaw is not a straightforward task. In all jurisdictions, it has power to “control” common property, but there is only a power to “control” private lots in NSW, Victoria, Western Australia and the Northern Territory. There are other statutory limitations on powers to make bylaws. Although these differ between jurisdictions, the main principles are that bylaws must not be inconsistent with strata law and other laws; unreasonable or oppressive; or discriminatory. These are all potentially relevant to smoking bylaws. On the issue of consistency, there is a question whether a smoking bylaw might be inconsistent with state laws on smoke-free areas. These prohibit smoking in public places and workplaces, but may specifically exempt residential premises. As for reasonableness and oppressiveness, a blanket ban on smoking is probably more vulnerable to challenge on this ground because it could prevent a resident from smoking even where neighbours will not realistically be affected. Smokers are not a protected class under anti-discrimination legislation. While they are not prevented from living in an apartment complex with a smoking bylaw, they must comply with the bylaws. A model or default bylaw on smoking can be included in strata legislation or regulations to provide clear guidance. Existing owners’ corporations can choose to adopt the smoking bylaw by special resolution, confident that it is valid and enforceable. Many new developments would adopt the smoking bylaw from the start. Through more direct and immediate enforcement, disputes about smoking can be resolved more quickly. The first prohibits smoking on common property and requires smokers (and their guests) to ensure that smoke does not penetrate to common property or other lots. The second is the same, except it permits smoking on common property if authorised or within a designated area. The NSW example only prohibits smoking in a private lot if smoke is infiltrating other lots, and therefore affecting neighbours. In this way, it appears to strike an acceptable balance between the need to minimise apartment residents’ exposure to secondhand smoke while respecting personal freedoms in private property. Strata law reform is under way across Australia. 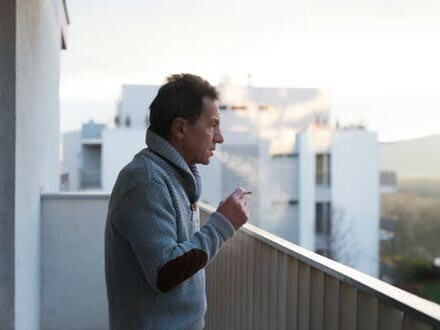 In the interests of all apartment residents, smoking can no longer be ignored.